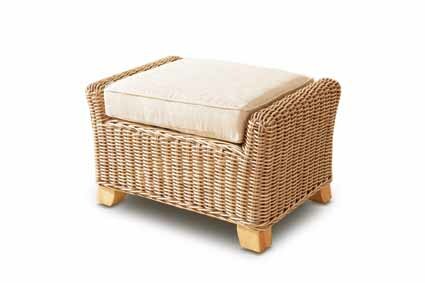 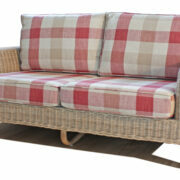 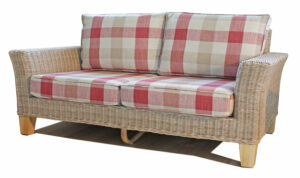 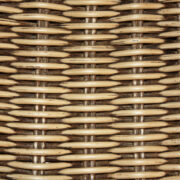 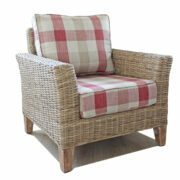 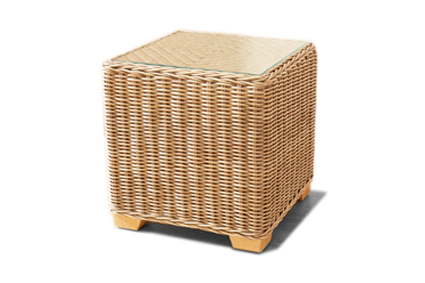 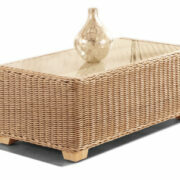 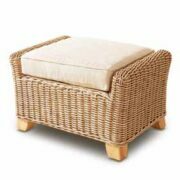 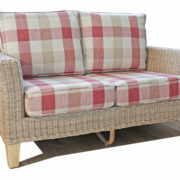 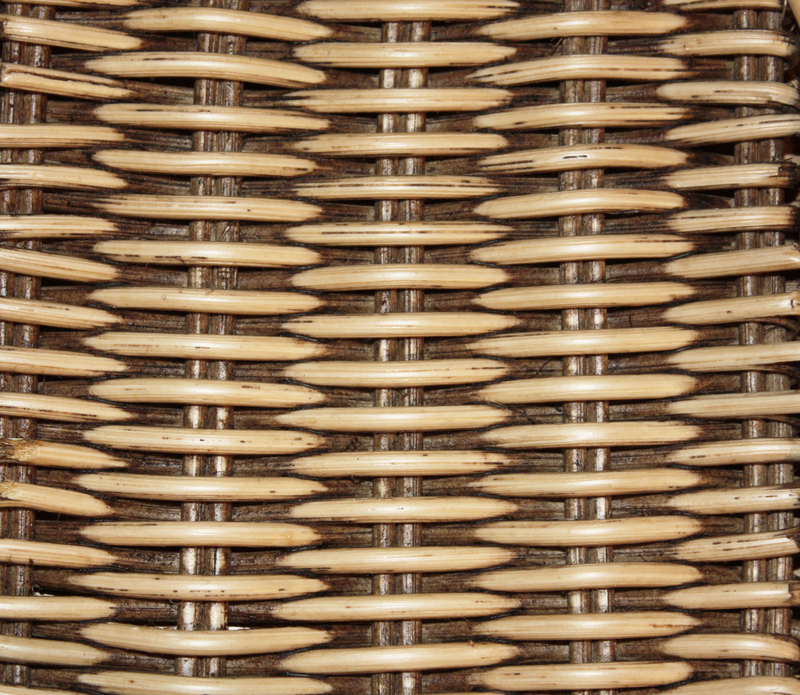 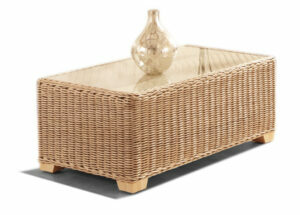 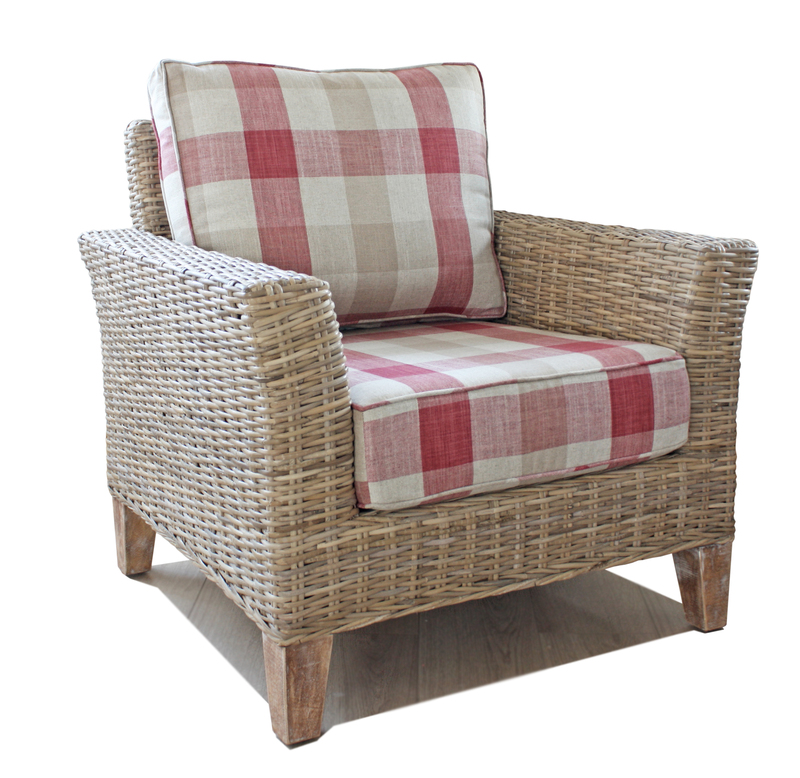 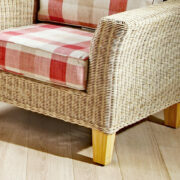 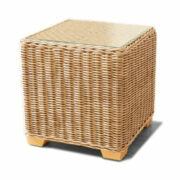 Almond patina weave finish with solid pine washed legs all finish in a semi matt lacquer. 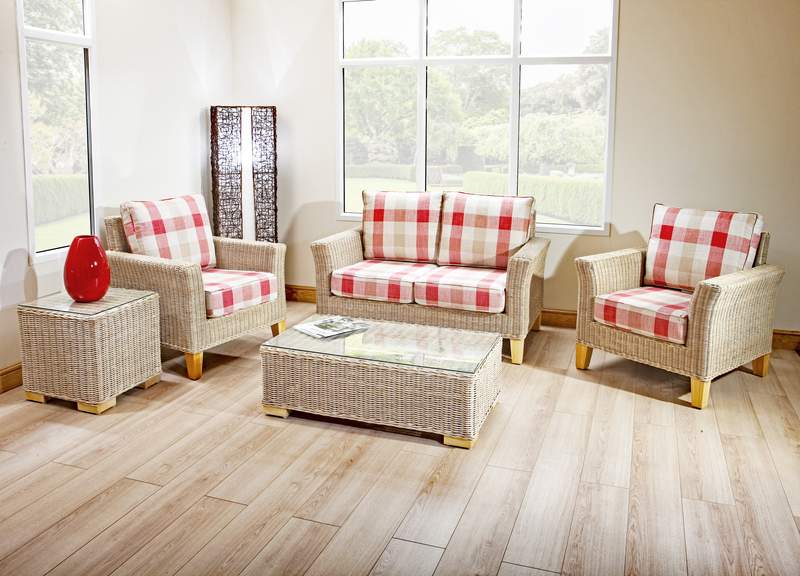 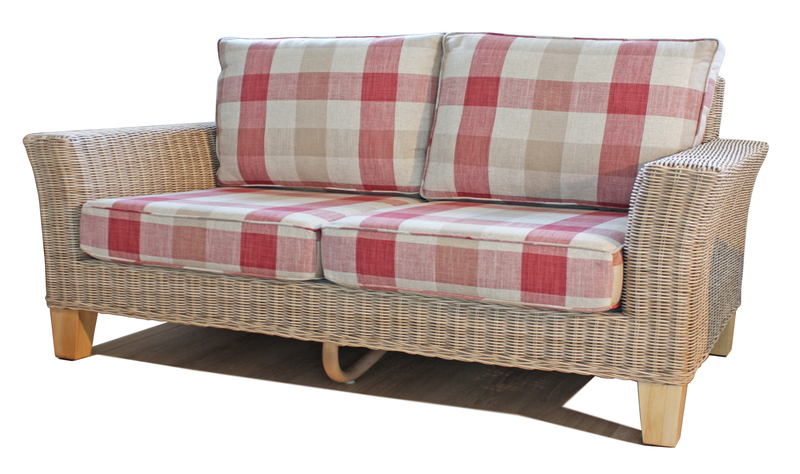 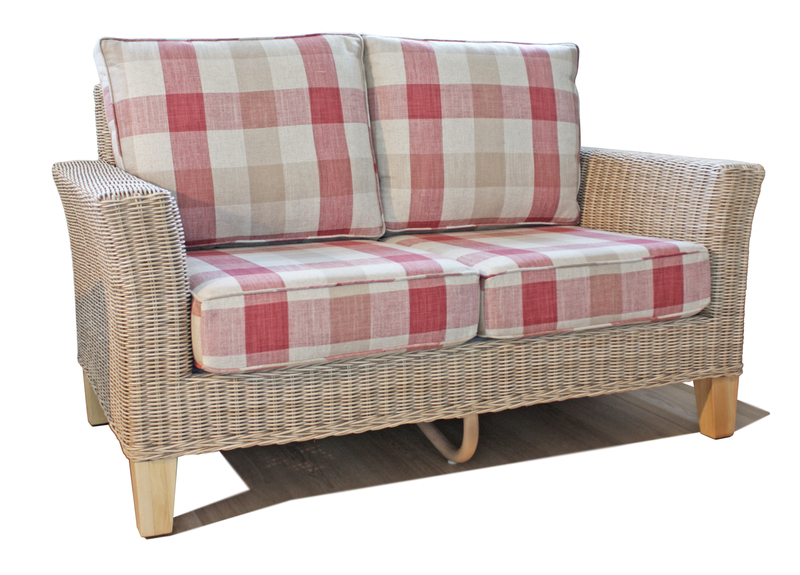 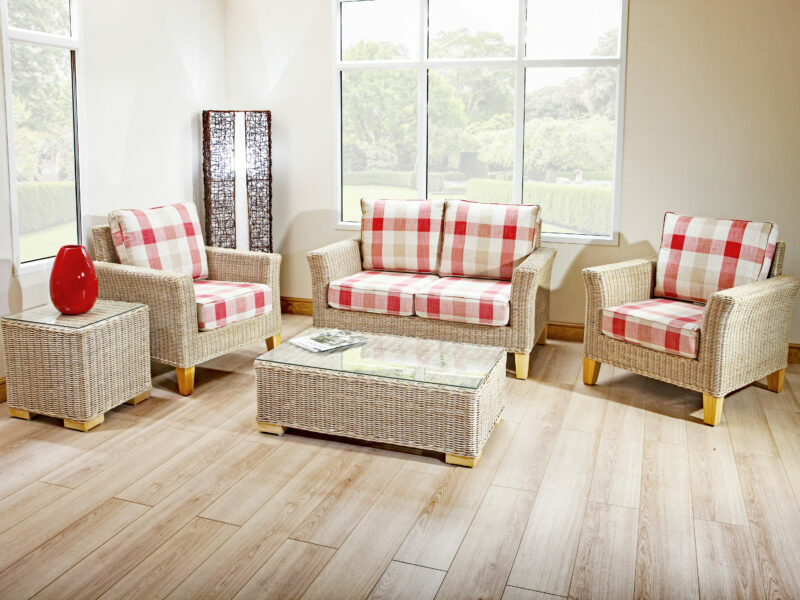 Deep seating with large soft back cushions make Bisque a very comfortable contemporary sofa set, made with sanded core rattan for a refined feel, tightly woven for superb strength, along with our sprung seat under frame for perfect comfort and long lasting durability. 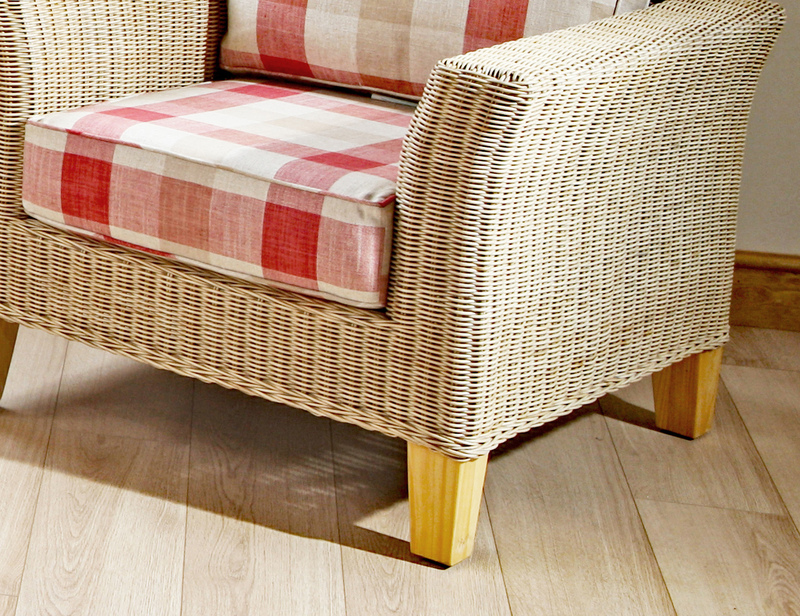 Finished in our Almond patina, creating a fresh very smooth elegant finish. 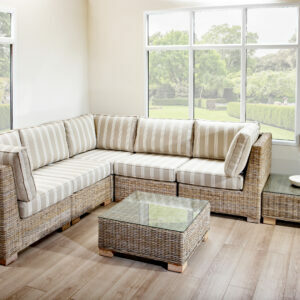 You can compliment Bisque with over 40 fabric coverings available from the leading fabric houses. 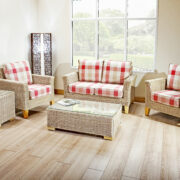 Arm chair | 2 seat sofa | 3 seat sofa | Foot stool | Coffee table & side table. 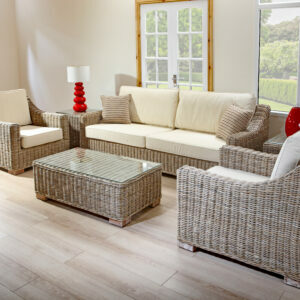 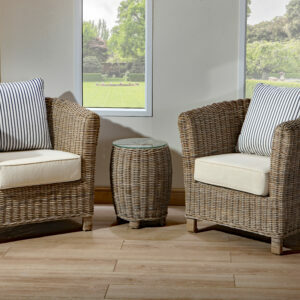 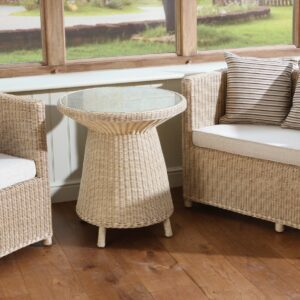 Bisque conservatory furniture is made to stand the test of time, great for your conservatory.